Soviet invasion confirmed! This is not a drill! YR Red-Resurrection 2.2 is finally here, no joke! It is by the far biggest update to the mod ever, having taken the last year to develop (to the month), driven largely by the interest and feedback fromt the little discord community that has developed. The original goal was simply to port the mod to the CnCNet 5 client, making it possible to play online again and increase accessibility, but as it went along it resulted in almost totally overhauling the eight countries as well, making them very individual and unique. Tonnes of work has gone into this and I definitely want to thank the testers and contributors for making it possible and, largely, a fun experience. Particularly a thanks needs to go to Starkku for making this entire thing possible by providing lots of technical support, particularly with the client, and the toolset he has developed. Two factions, the Allies and the Soviets with all new arsenals. Four countries per faction, each with 12-15 unique units, structures and support powers. An entirely rebalanced experience with rapid, dynamic gameplay providing the player with plenty of opportunities for attack. Over 140 new units, structures & support powers (with 75+ added in this patch alone!). Over 300 multiplayer maps and several game modes, including Dead Resurrection - where infantry killed in combat rise from the dead. 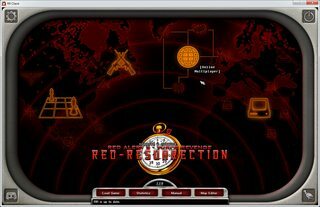 The vanilla Red Alert 2 campaign ported to work with the additional content of Red-Resurrection. The CnCNet 5 client from rampastring & Starkku, with additional unique features. Also includes an offline manual and map editor! 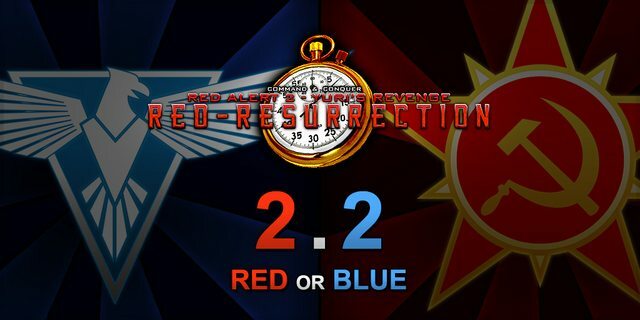 And if you wish to take part in the growing Red-Resurrection community, follow the links below! this mod won't conflict with other ra2/yr mods when i install it alongside them right? If you point the installer at your RA2 folder, it will create another folder inside and copy the necessary files there to work so that it wont conflict.